70's bell bottoms/flares and 80's sunglasses are a few of the many trends that has made a comeback into the fashion world. 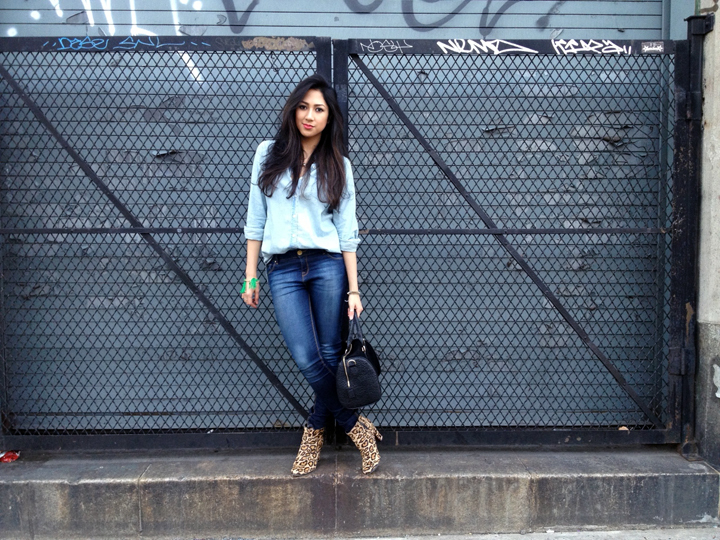 One of my favorite recycled fashion trends is the denim on denim look. Also known as the "Texas and Canadian Tuxedo," this is a look that a lot of people are hesitant to wear, but when it's done right, it can look very clean and chic. 1) Make sure the denims are two different colors/shades - You don't want to look like you're wearing a uniform. 2) Wear a belt - Break the denim up with a leather or printed belt. 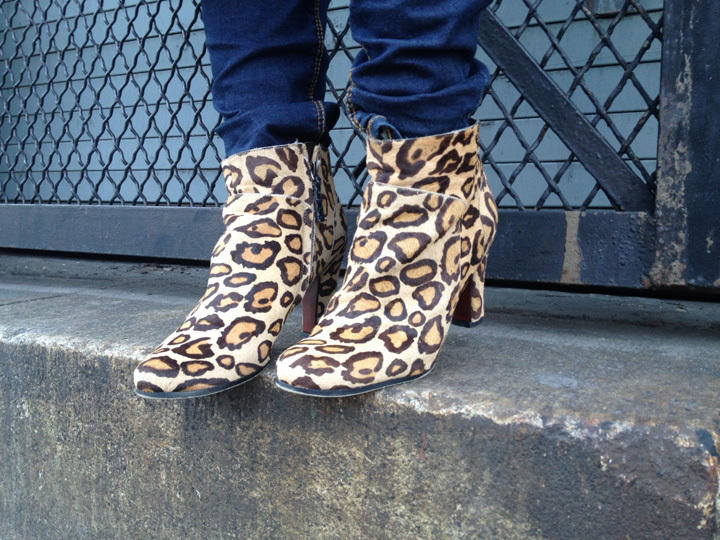 If I wasn't wearing my booties, I would have worn a leopard belt. 3) Accessories - To stray away from a monochromatic outfit, add color and texture by wearing jewelry. P.s Just joined Lookbook, show some love and follow/like/hype/fan me at http://lookbook.nu/user/2728451!